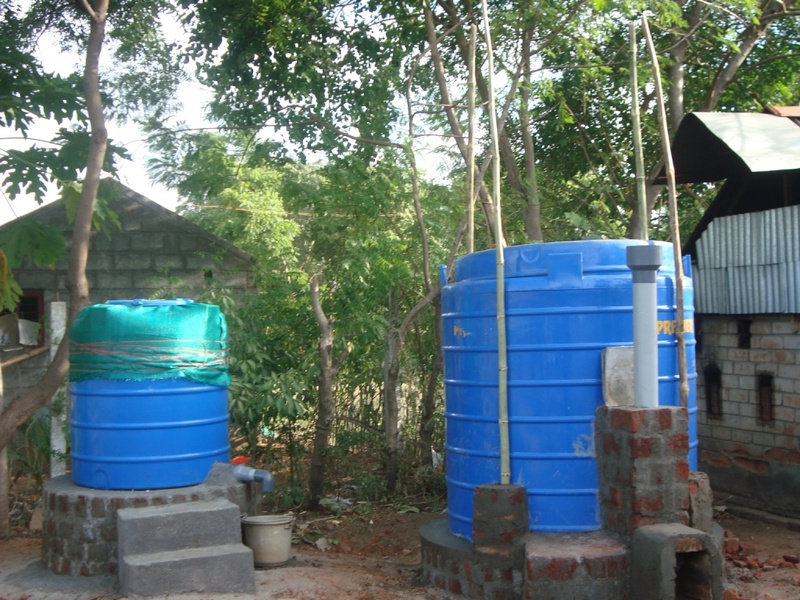 A mini biogas plant was installed in our Children’s Home on 8th June 2011. The cow dung and the sugar are mixed together and kept in a barrel. This mixture should be left undisturbed for 15 days. During this period, gas is formed. After 15 days the lid is opened and left for three hours for the foul smell to escape. Once the foul smell has lessened, cooking work can be started. After 15 days, ½ kg wheat flour should be diluted and poured into the barrel and this should be done for a month. After a month, every week 1kg of wheat flour should be poured. This process is for the next two months and later every consecutive day the wheat flour should be poured in the barrel. As the gas level reduces the input for it will increase. Rotten vegetables and fruits, curds, curdled milk, used tea dust, rice water, ashes, spoiled meat can be collected and stored in a drum with a filtrate at the centre. To this, 20 litres of water should be added. When all these materials blend together, a liquid state will be formed and drained inside the drum with the help of a filtrate. When the mixture (cow dung and sugar) is set the drum is capsized into another drum (bigger size) and sealed. The diluted sour liquid is poured into the drum through the water inlet. Gas will be produced in the capsized drum. This gas is connected with the help of a tube to the kitchen which is consequently used for cooking. 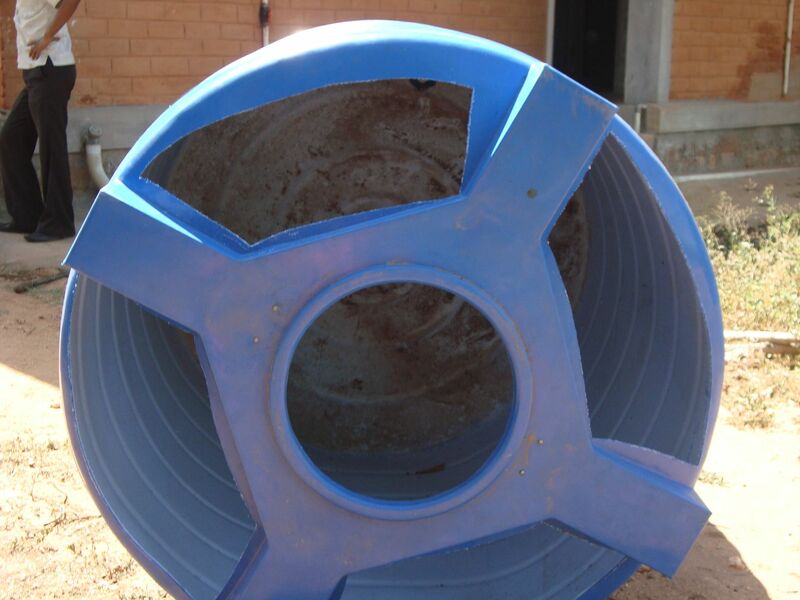 The waste water in the bigger drum is collected at the outlet. It is diluted and used for watering the garden. If this process is carried out continuously, this biogas can be utilized for five hours without any interruption. A day’s cooking can be accomplished with this gas. 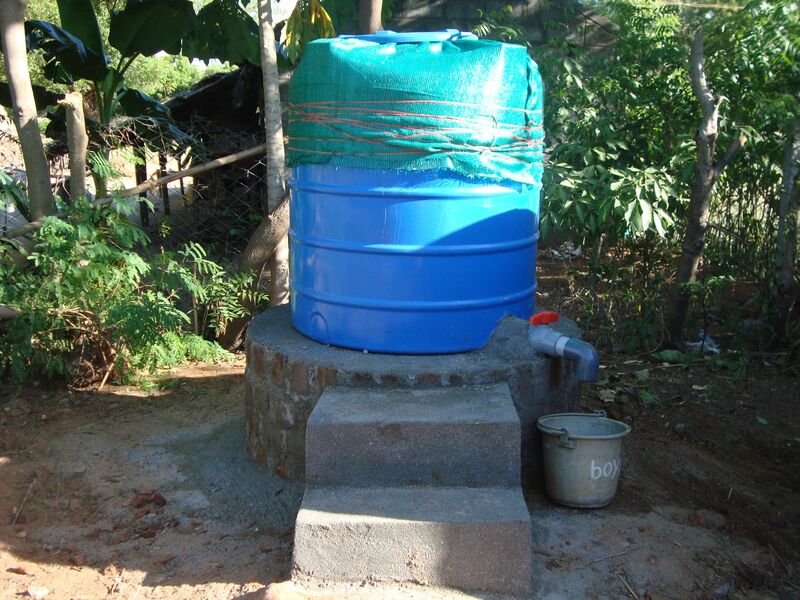 — The biogas produced can be used for 5 hours. — If handled properly the life span of the plant will last for 20 years. — The waste water from the outlet can be diluted with cold water and used for watering the plants. 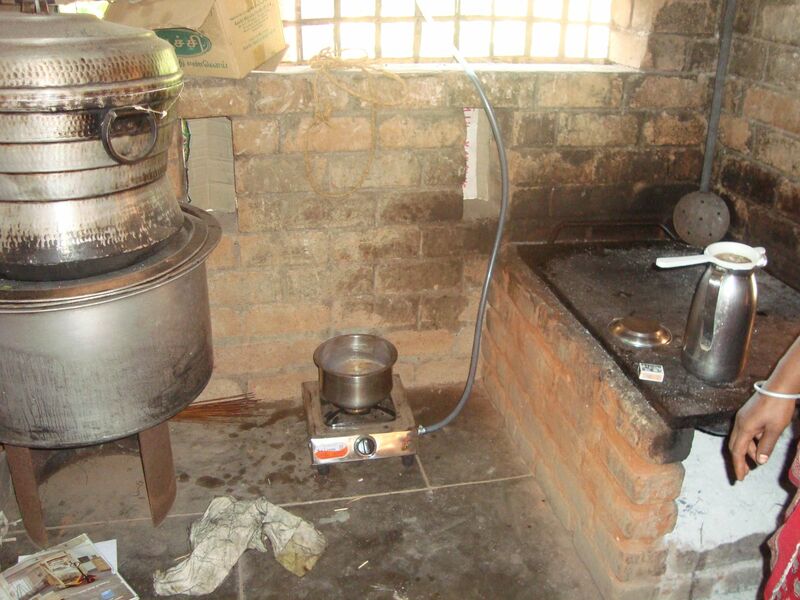 Our home children were trained on biogas usage and its importance. 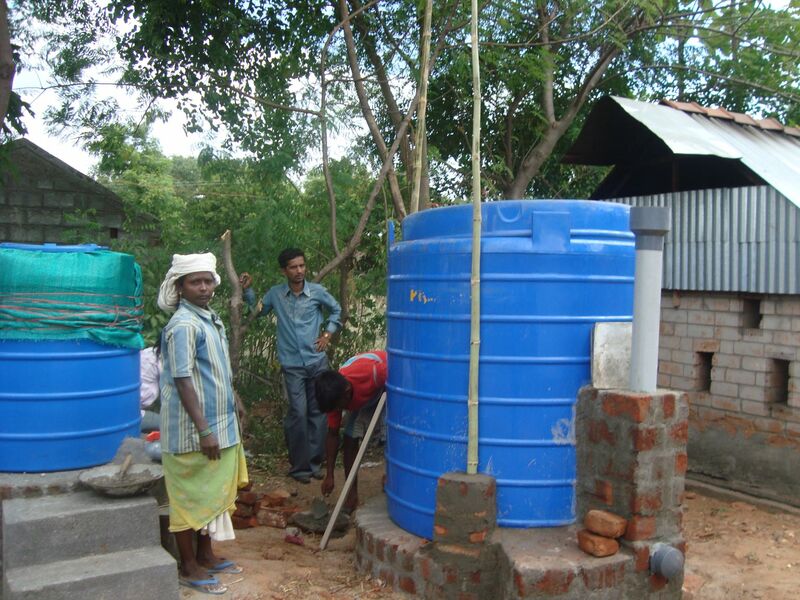 Also the purpose of installing a mini-biogas plant in our organisation was educated to them. The method of converting the bio-degradable wastes into gas, its process and output was explained. 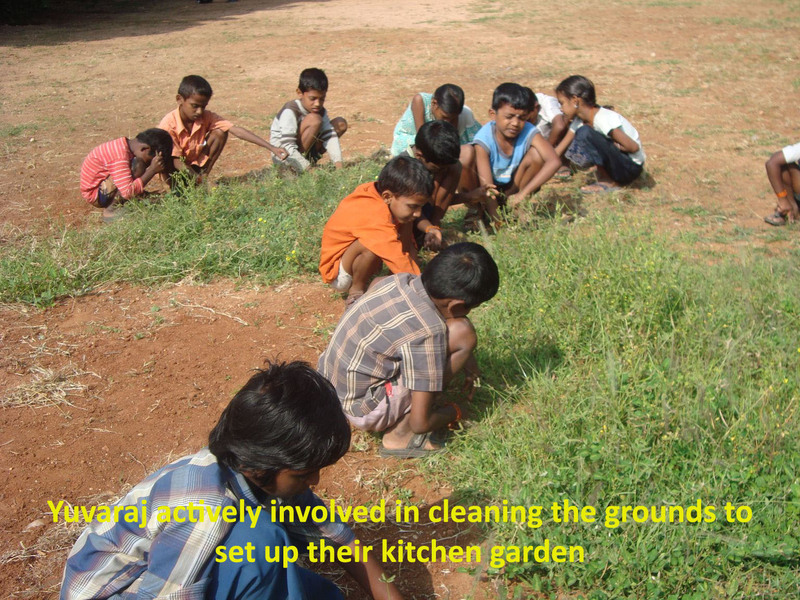 Now the children themselves maintain the plant. 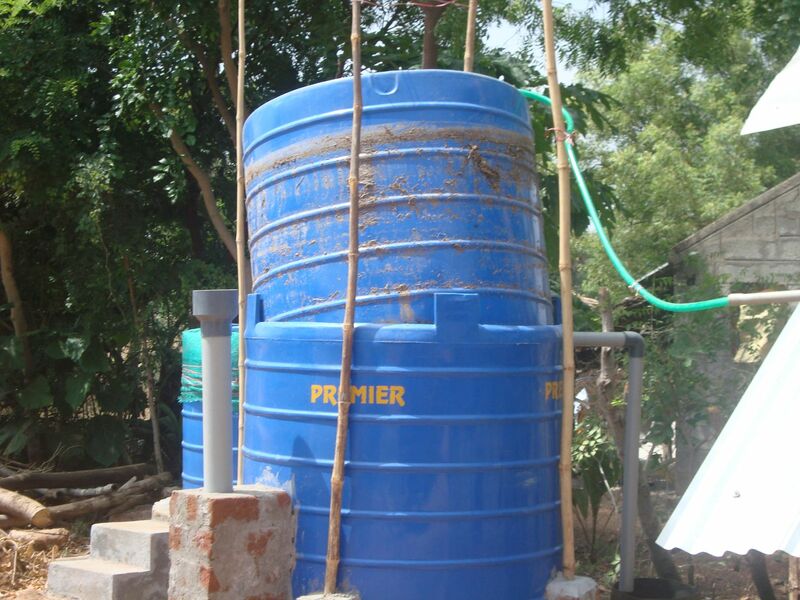 They take care of pouring in the liquid at regular intervals as well as utilizing the waste water for watering their kitchen garden. 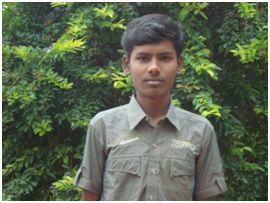 Selvaraj was born on January 14th 1993. He comes from Kulithalai where he was living with his paternal aunt because his father had abandoned the family five years ago. The day before he left the house, his father was beaten up by his wife’s family. He took Selvaraj’s younger brother and went to his in-laws house seeking justice. The child returned home but his father has not been seen since then – nobody knows what has happened to him. Selvaraj’s father’s family is under the suspicion that his mother’s family killed him but they have no evidence against it. His mother is still living with her mother in law and her other children in her husband’s village. Selvaraj was sent to his paternal aunt’s house. In his aunt’s house he was ill treated and made to do manual work like rearing the cows, household chores, etc. He was also working in a bike shop in Kulithalai. He was also working in a bike shop in Kulithalai. We identified him as a child labourer and knew that his aunt was not sending him to school, although her own 3 sons were going to school at that time. Selvaraj spent many nights sleeping in the railway station because of the way he was being treated by his aunt. 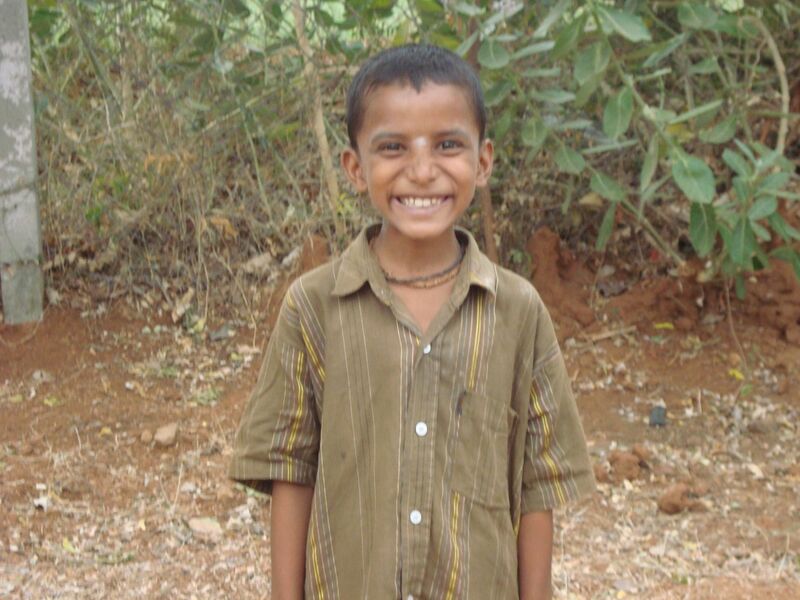 Selvaraj’s uncle and the shop owner were willing to help us bring him to SPPD to ensure that he would go to school. Three of his four siblings are working – his sister in a cotton mill – she dropped out of school at 13 years of age. His youngest brother is living with his mother and is studying 4th standard. The other two brothers have dropped out of school after 5th standard – one is now 14 and the other is 16. They are both working in a shop as coolies – day labourers with no permanent position. He came to SPPD in 2005 as one of the initial group of children from the Government’s SSA Education for All Programme. When he was younger Selvaraj also believed that his mother’s family had killed his father and he tried to kill her. When he arrived at SPPD he was very aggressive and even beat the teacher on one occasion. In the past 2 years he has matured and is now a hard working kindly young man. He does not want to have anything to do with his mother’s family, but still hopes that his father will return. He is on better terms with his aunt’s family in Kulithalai and goes there for holidays. He is very good at mechanical and electrical work and helps to maintain the bicycles and motor bikes and look after the garden at SPPD. He appeared for the State government Board exams (10th standard) in March 2008 and secured 282 marks out of 500. 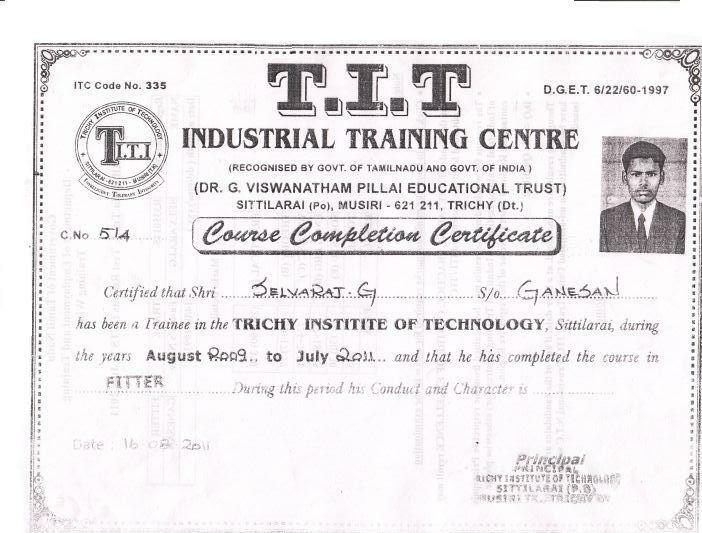 Later he joined the ITI course in Sittilarai in 2009 and has completed it in April 2011. 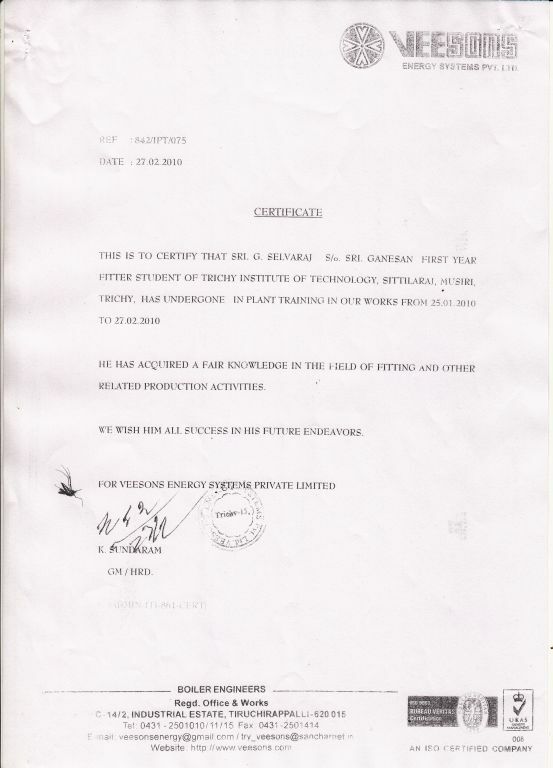 He has successfully passed his Diploma in Fitter with Trade as Fitter. In February 2010, he attended the internship training in the Veesons Energy Systems Pvt. Ltd. Company at Trichy. The training was related to fitting work. He was very eager to learn about the techniques of fitting procedures. He is not only interested in motor mechanics but also in agriculture. He looks after all the milch animals like cow, goat and hen which are reared in Iynthinai Farm (A unit of SPPD), involves himself in kitchen garden and nurseries. Now he is well equipped in both the fields’ i.e. automobile fitting and agriculture. At present he has submitted his resume at Ramakrishna Mission as well as in an automobile company at Sittilarai. 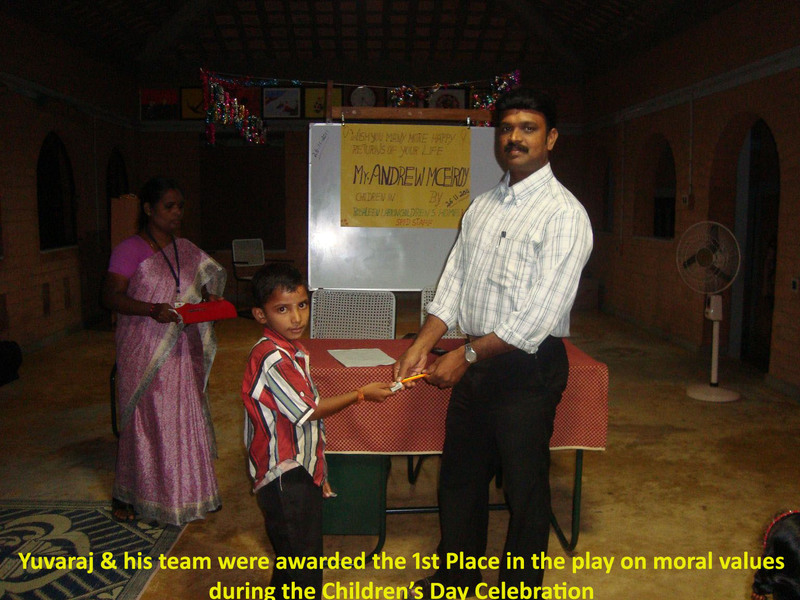 Since my completion of ITI course at our Children’s Home, I have not been in touch with you for quite a long time. I apologize for this delay in my intimation. At present I’m working as a contractor in BHEL Company in Trichy drawing Rs.150/- per day. 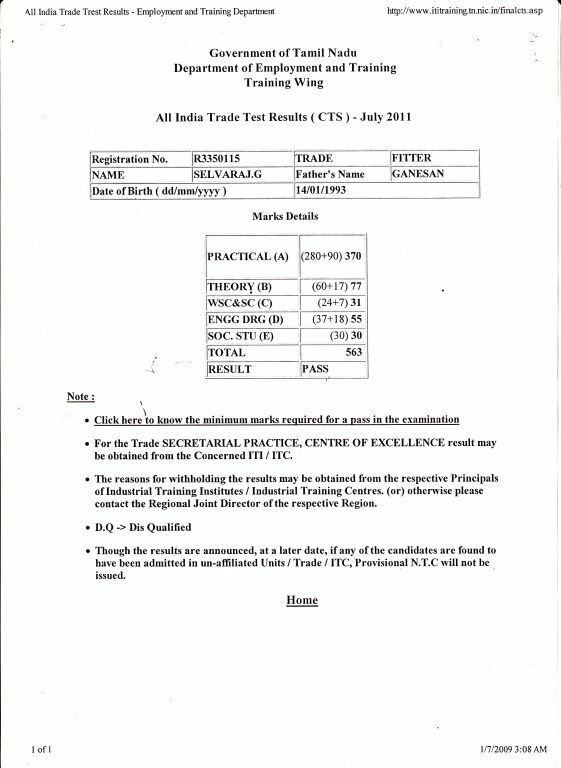 On 21st November the ITI Course Provisional Certificates were issued and due to my work at Trichy I received the same only on 26th Nov. ’11. On the same day I visited our Home and submitted a photocopy of my Provisional Certificate, Mark Sheet, SSLC – T.C, etc. in the office. Due to certain family problems I was unable to pay frequent visits to our home. In future, I assure you that I will visit our home regularly and build in confidence in our growing youngsters who are present at your care. I once again thank you for supporting me with this bright future. Yuvaraj’s father is Mr.Tamilselvan. Five years back Yuvaraj’s mother Rani had coupled her life with another man and left the house abandoning Yuvaraj. From then on Tamilselvan is staying with his parents. They were taking care of Yuvaraj. Two years later they also expired. Tamilselvan, Yuvaraj’s father is mentally retarded from his young age and he can’t speak fluently. Also he has lost vision in one eye. He is not able to do any hard work and look after his son because of his serious health condition. Finally he got himself employed with Velavar Electricals Shop as a pune, helping them in buying tea, cleaning work etc. and earns Rs.1500/- per month. 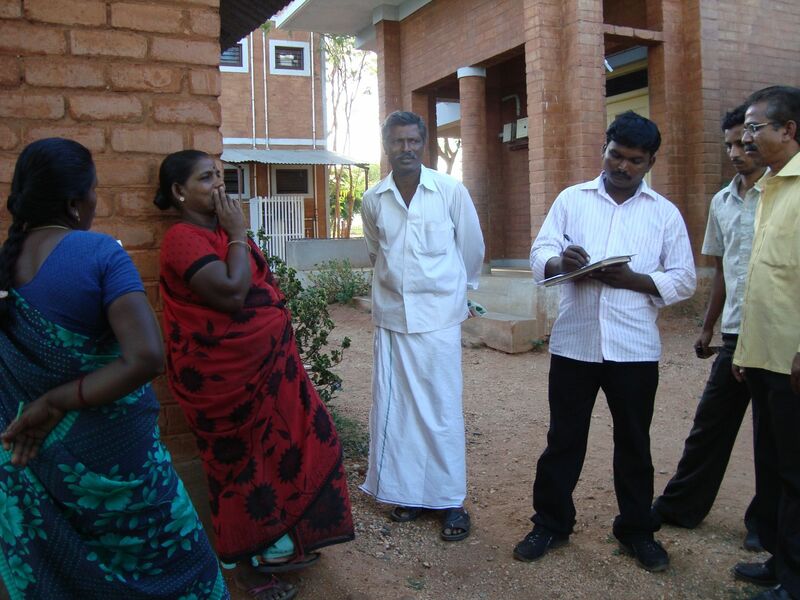 Since Tamilselvan had rashes on his hand, his employer hesitated to send him to purchase tea, etc. and hence this job is also not certain. Yuvaraj’s father doesn’t know to cook. So with the assistance of Kathiresan his neighbour, he gets his food from a nearby hotel on monthly payment basis. The salary he draws is sufficient only to feed his son. He found it difficult to educate his son. 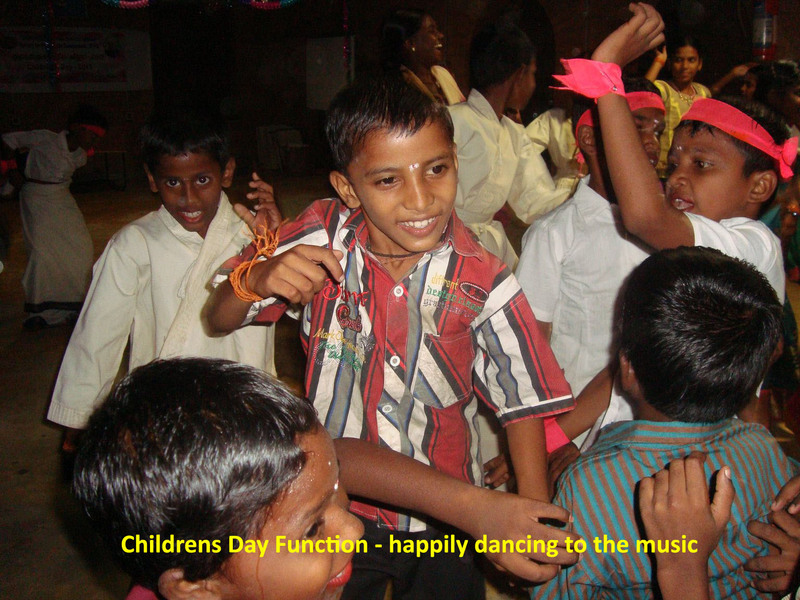 In this juncture, Kathiresan came to know about SPPD and requested us to enroll Yuvaraj in SPPD’s – Children’s Home. Reason for admission :- Considering Yuvaraj’s situation, no motherly love, father – unable to take care of him; we had enrolled him in our home. Also, there are many nights Yuvaraj had gone to bed without food, since his father used to return home at late hours. He was unable to speak properly, because his father was not able to train him in speech. As they were staying in a very deserted place, there were no neighbours to take care of the child during his father’s absence. Hence he was enrolled in the home. Yuvaraj at the start:-When Yuvaraj was admitted in our home, he never knew how to brush his teeth, wash his clothes and have a bath. There was a lot of stammering in his speech. The reason behind this was they resided in a very remote area where they had no neighbours at all and moreover Yuvaraj’s father was not in a position to train him in speech. He never used to mingle with other children at home or in school. Though he was in Grade IV, he was not up to that grade level. Reading and writing was yet another problem for this child. He always used to wet his bed during his sleep. He loved loneliness. Worst of all, he never knew in what condition he was. Treatment at Trichy:- As his situation was in a very bad shape, we had taken him to Dr.Shayida Shereen, M.B.B.S, D.N.B, Psychiatrist at Thillainagar, Trichy. At the hospital, Yuvaraj’s complete details were retold to her. She had also raised many questions regarding Yuvaraj’s life style at home. Doctor’s Opinion :- This child was brought up by a father who himself was in an unfit position. There is wide scope of the child carrying the same hereditary. Moreover he has lost his motherly care at a very early age. Only few years he was in the embracement of his grandparents. He never had the opportunity of playing with children. There was no one to guide him with his studies. Her advice :- She prescribed medicines which should be regularized for him without any break. The prescribed medicine were to be given for two months and once in two months he was asked to be brought for a re-check up. She stressed that it would be fine, if we could consult his Headmaster and allow this child to do his Grade 1. On following the prescribed medicine, he had severe vomiting for two days and became too weak. On 19th Sept. he was taken to the hospital. She prescribed tablets for appetite. He is continued with the same prescription. Changes observed:- He has shown vast improvement in his behavior. Now he mingles with his friends and is found active to a certain extent. He has learnt how to brush his teeth. Now he uses a lot of words in his sentences. 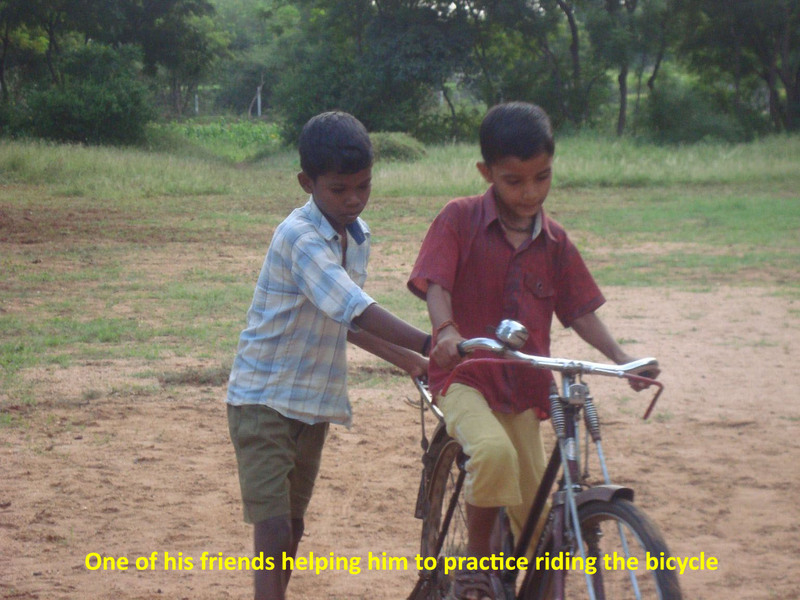 He has also learnt cycling. 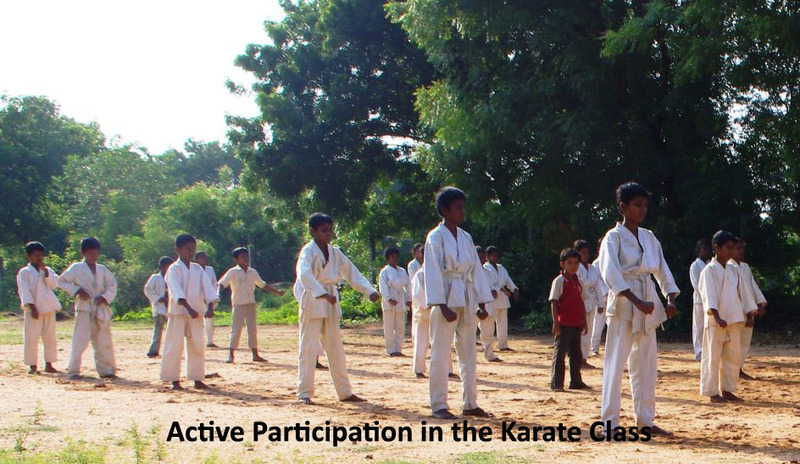 He shows active participation in his karate class. He is very interested to attend his computer and English coaching class. He loves to handle paint in the computer. 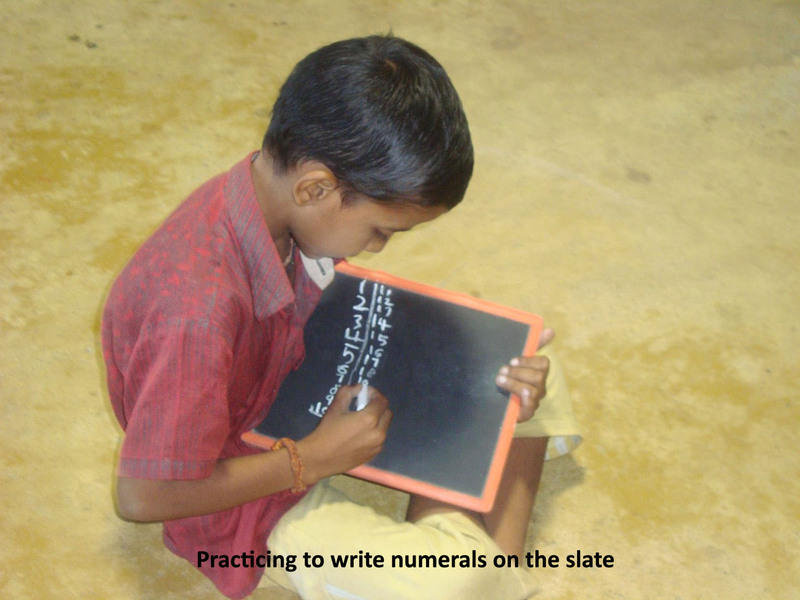 He makes an attempt to write and practice on the slate. He is acquainted with numbers orally from 1 to 10 and written from 1 to 20. 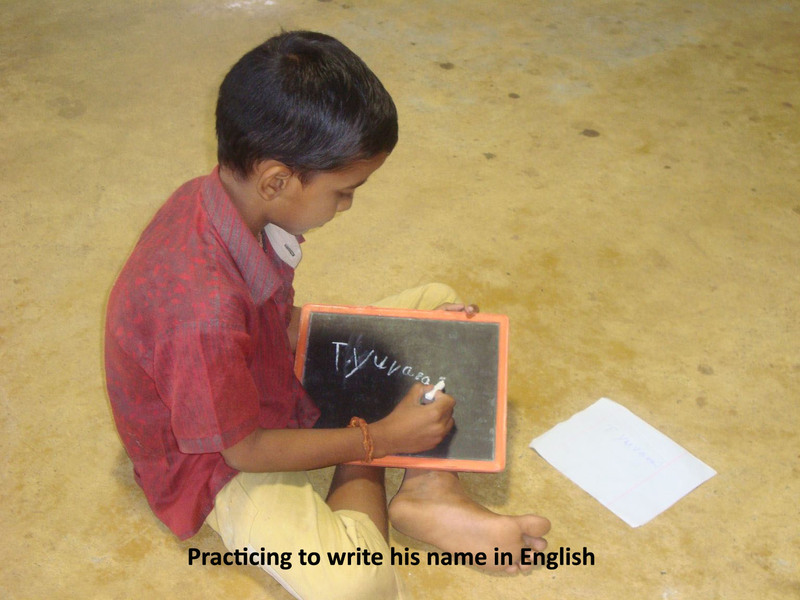 He is able to write his name in Tamil (his native language). He is learning how to write his name in English. A vast difference is noted in him From What He Was To What He Is!